Over the years of experience in the industry, we have been able to provide the customers with a commendable array of Rubber Cords. 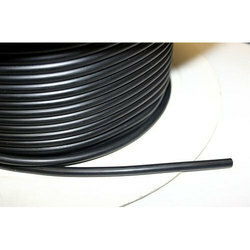 Under the offered range, we provide EPDM EPDM Sponge Cord. Made under the supervision of expert professionals by using supreme quality material, offered rubber cords are high-in demand. While manufacturing these rubber cords, our professionals follow well-defined quality standards of the industry. 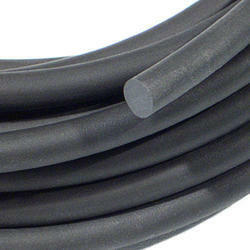 We are manufacturer and Suppliers of Nitrile HD Rubber Cord as per customer specification. We have 20 year experience in Rubber Industries. dimension 2mm dia to 100mm dia, Polymers NR,SNR, NBR, CR Viton and EPDM, Colour Black. Hardness 55 to 75 Shore A. for more information pl Payment terms 50% advance with Purchase Order balance 50% against Proforma Invoice.Delivery 7 to 15 days by raod and by train. 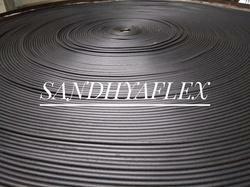 Sandhya Enterprises NBR cord is widely used for applications involving resistance to petroleum oils minerals and vegetable oils. It is also suitable for contact with aromatic hydrocarbons and most dilute alkalis and acids. NBR rubber cord also has good mechanical properties, low compression set and is most cost effective. We are proud to introduce ourselves as a well known manufacturer, trader and supplier, involved in offering Natural Rubber Cord to our customers. Widely used for different industries like chemical industry, automobile, electronic, and others, these rubber cords are particularly designed using premium quality of rubber. We provide this cord in different lengths to maximize the satisfaction level of our clients. This Natural Rubber Cord can be availed from us at most affordable prices and within set time period. 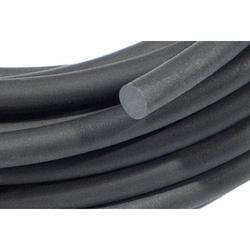 We can supply Viton Rubber Cord from Size 21 mm to 25 mm as per customer requirement. Looking for Rubber Cord ?